We are now in the middle of the Fall semester and gearing up for the Spring 2016 semester. My course on international business provides a comprehensive and up-to-date overview of international business and the institutions involved in the process. Enrollment will begin in November. It’s graduation time. 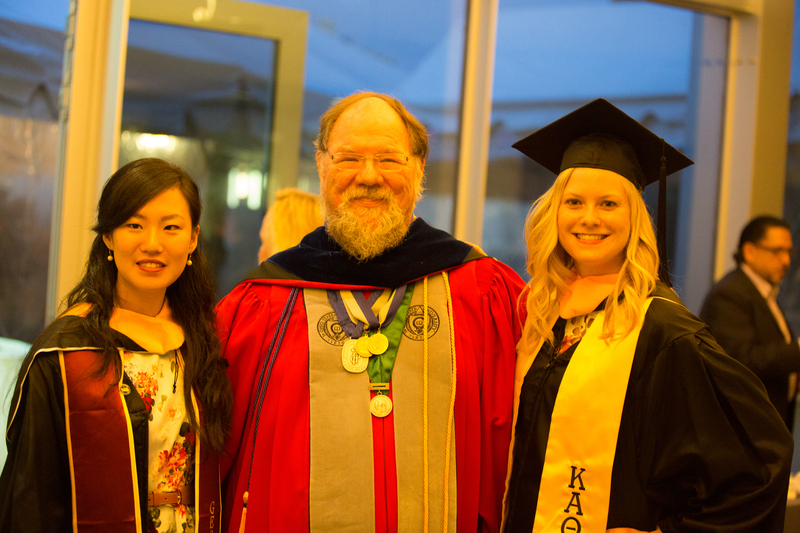 Congratulations to two splendid assistants Alice Lu and Kimberly Boeckmann who are leaving. Thank you for all your excellent work. Happiness and success to both of you. The undergraduate program of Georgetown University’s McDonough School of Business has moved up to No. 15 in the 2014 U.S. News & World Report’s annual business schools ranking. It also ranked 6th for international business. The ranking is based on a survey of business school deans and senior faculty accredited by the Association to Advance Collegiate Schools of Business. Participants were asked to rate the quality of all programs they were familiar with on a scale from 1 (marginal) to 5 (distinguished). U.S. News also asked the same group to nominate their list of 10 best programs in specialty areas such as marketing, finance, and international business. As for the graduate school, the full-time MBA program of the McDonough School of Business ranked No. 23 in U.S. News while its part-time MBA program ranked No. 11. Georgetown University’s McDonough School of Business has over 1,400 undergraduates and 1,000 MBA students. The school aims to prepare students to become principled leaders with a global mindset and to be in service to business and society. Professors Michael Czinkota and Charles Skuba teach international business at the school.